Authoritative text, charts and diagrams, photographs, and a systematic approach make DK's Smithsonian Handbooks: Stars and Planets the most comprehensive and concise pocket guide to observing the night sky. Each planet is illustrated and described in detail, with location charts and diagrams and a month-by-month guide to interesting features of the night sky. All 88 constellations are examined, along with objects they contain, such as notable stars, star clusters, nebulae, and galaxies. For those new to astronomy, a highly visual introduction explains many basic concepts and offers expert advice on the best methods and equipment for observation. This book is one of a series covering plants, animals, and other natural phenomena from around the world and is published in association with the Smithsonian Institution. 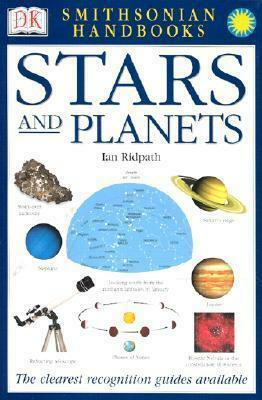 Ian Ridpath is an amateur astronomer whose writings and broadcasts have established him as one of the world's leading authorities on astronomy. He is the editor of Norton's Star Atlas and the Oxford Dictionary of Astronomy.